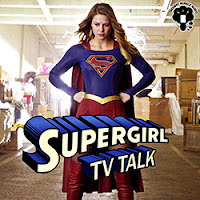 ☊ Podcast: Supergirl TV Talk 1x17: "Manhunter"
Tim and Frank have a NEW theory about Jeremiah Danvers, and there is some regrettable singing along the way. They're sorry. Seriously. Plus, the listener mailbag and the Cat Grant Quote of the Week!